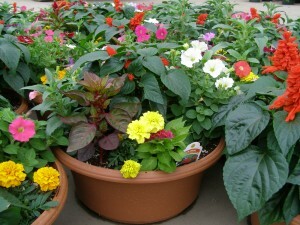 Patio container pots are are a good way to add instant color to your porch or patio. 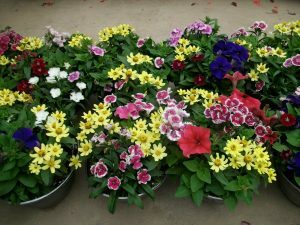 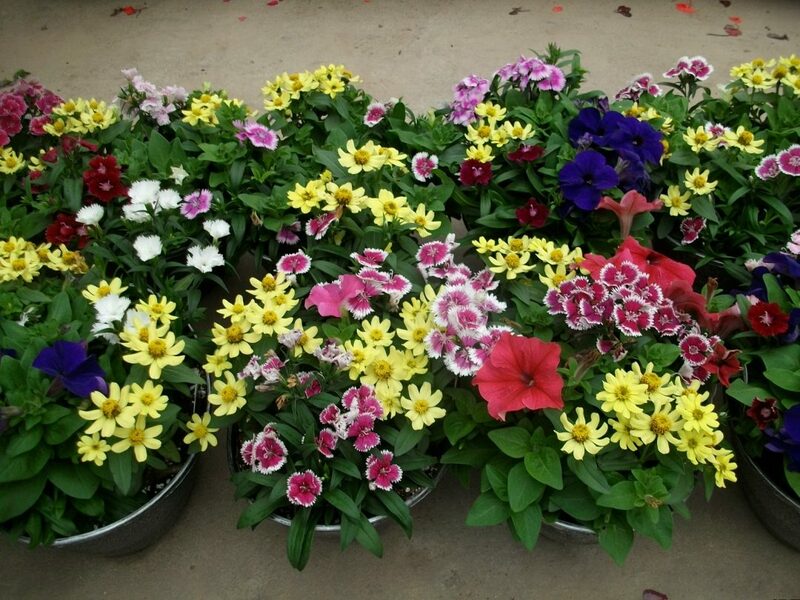 We grow a wide variety of plants ready to sell in patio pots also called containers, container pots and deco pots. 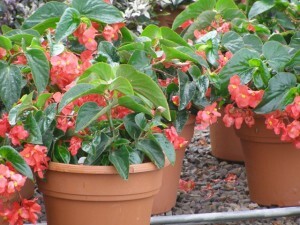 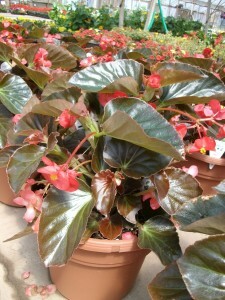 BEGONIA – BIG BEGONIA – Bronze Red – Part Angel Wing and part Fibrous Begonia, these “Big” Begonias have large 2 1/2″ blooms with large pointed leaves. 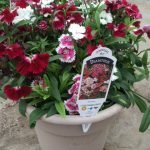 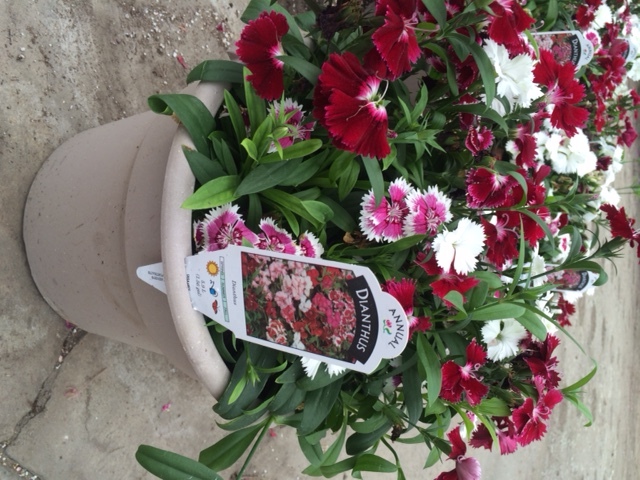 DIANTHUS – A pleasing mix of Floral Lace crimson, white and picotee. 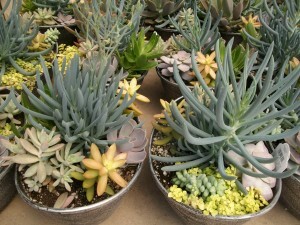 #12 Succulent Oval – An attractive mixture of different succulents in a decorative oval planter that will add some contrast and texture to your patio or porch.